 Elizabeth City State University welcomed Dr. Glenn Prescott of the University of Kansas on October 8th, 2004. Dr. Prescott delivered a lecture as part of the CERSER Lecture series. His lecture was entitled "Polar Research and Remote Sensing Education and Research Opportunities" and drew on his experience gained in the Air Force, from NASA, and his current position as associate professor of electrical and computer engineering at the University of Kansas where he teaches and conducts research in the areas of Digital Signal Processing, Information Theory and Digital Communications. Dr. Prescott also met with ECSU staff regarding a future proposed project to jointly study ice sheets utilizing remote sensing. Present at the meeting in Dixon Hall's CERSER lab were Dr. Carolyn Mahoney, Dr. Linda Hayden, Dr. Lei Zhang, Dr. Malcolm LeCompte, and Mrs. Cynthia Lister. This visit helped ECSU get ready for a meeting with other partner schools being held at the University of Kansas.